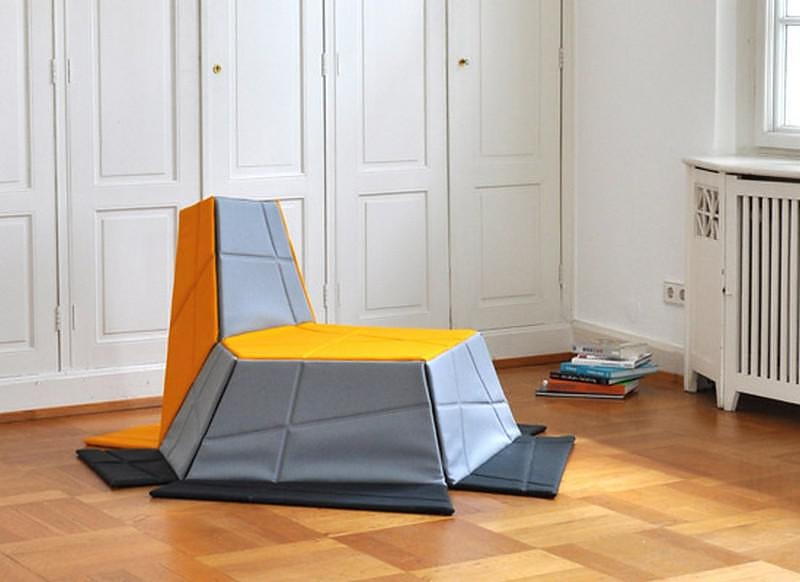 Yona armchair / carpet by KIESER SPATH Industrial Design Studio. HomeBlogHome DecorYona armchair / carpet by KIESER SPATH Studio. Yona is a multifunctional armchair with a unique property, it can be used as a comfortable armchair, or it can be transformed into an equally good looking modern carpet. 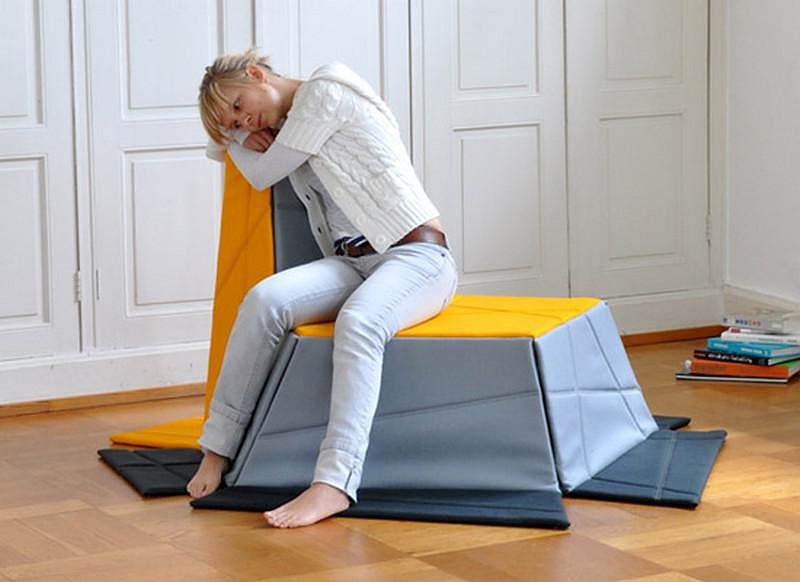 Essentially this innovative design is a combination between a seat, a carpet, and sleeping pad, with influences of fashion and architecture. 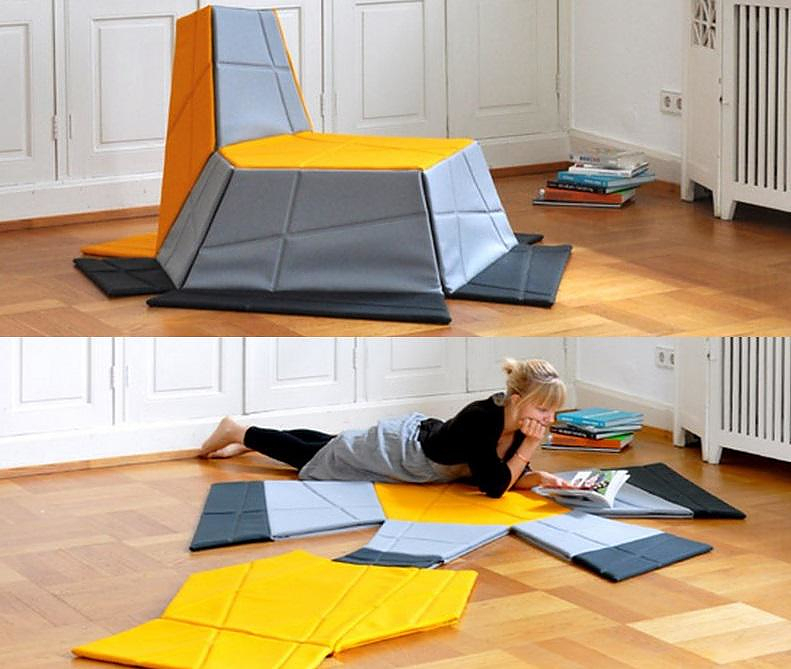 The Yona Armchair was designed by KIESER SPATH Industrial Design Studio. This extraordinary flower-shaped carpet can be transformed into a clearly structured armchair with vibrant bright colors. What is really exciting in this design approach is that the carpet as an influencing decorative object, is transformed into an armchair, while maintaining its stylistic relation to the surrounding décor. Yona is a very flexible armchair, one can sit on it in many different ways, and it consists of an interesting combination of upholstery layers, covering a bearing structure. 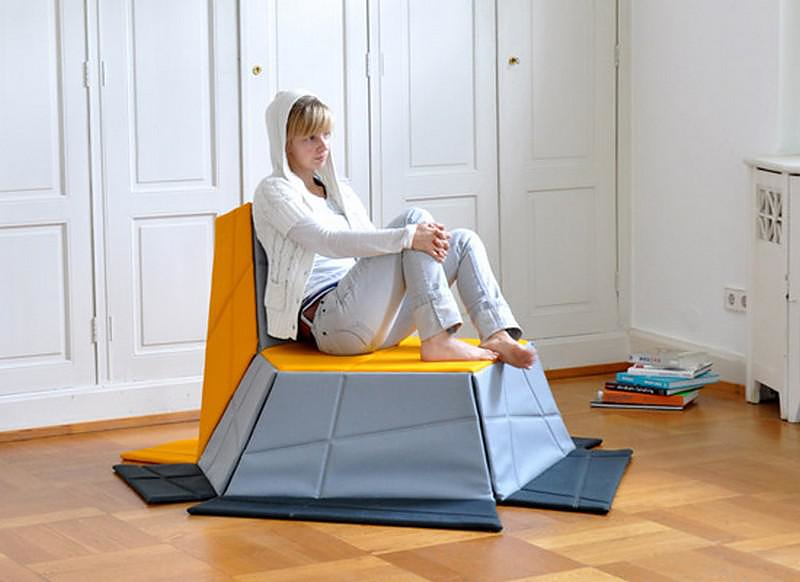 The upholstery is made of several thin foam layers and fabric while the bearing structure is made out of a polypropene sheet. 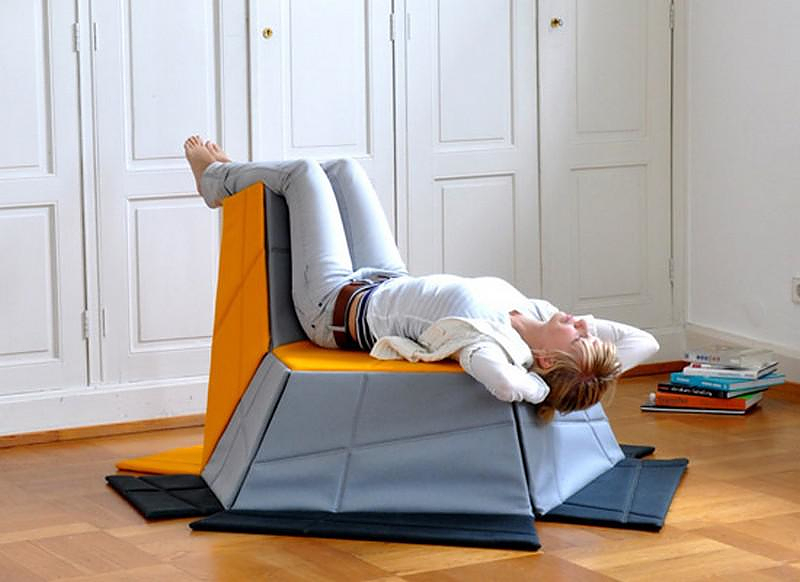 The sheet becomes foldable through a special milling process and stabilizes itself in the shape of an armchair by using an industrial grade Velcro. If you are looking for some of option, for a multifunctional modern piece of furniture, with an embedded element of surprise in its design, the Yona armchair is just perfect. 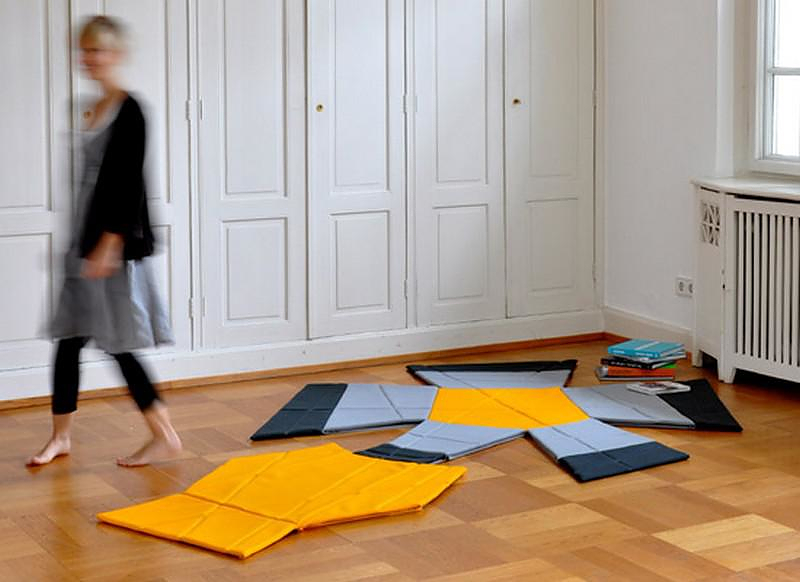 The Studio “KIESER SPATH industrial design” was founded 2008 in Darmstadt by Marcel Kieser und Christof Spath. Their aim is to develop outstanding and innovative products. 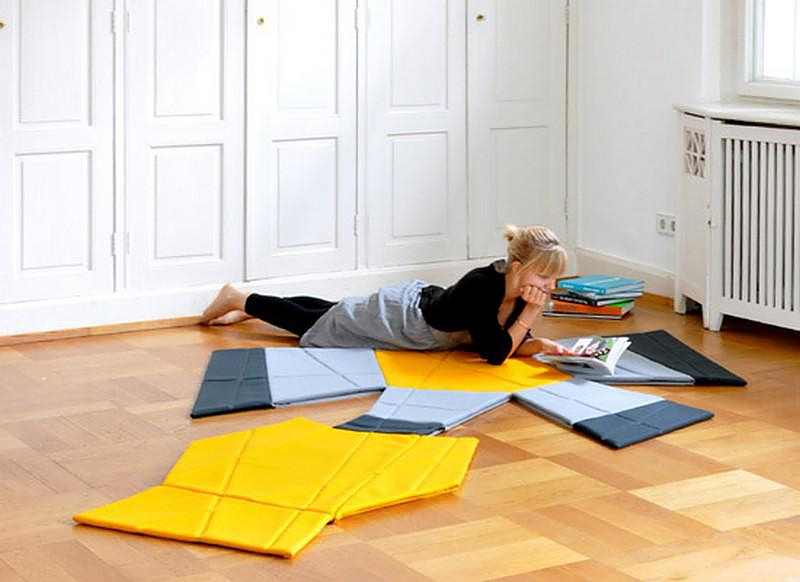 KIESER SPATH work in the field of furniture, office, fashion and consumer goods. They create Intelligent and likeable products and are deeply motivated by their love for attention to details and the joy of creating.